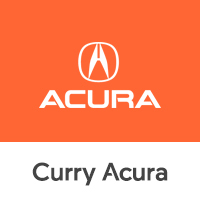 Curry Acura is committed to present EVERY customer a competitive Market Value Price on all our pre-owned vehicles. We understand that over 80% of our customers use the internet for research. However, we feel that ALL of our customers should benefit from research obtained on the internet. Our iMVP, internet Market Value Pricing, is achieved by polling over 500 pre-owned websites hourly. This ensures ALL of our customers receive a REAL TIME market value price. We feel a vehicle’s value is determined by its demand and availability. Not by what we paid for it, or how long we have owned it. Therefore, we do NOT inflate our pre-owned prices in hopes of winning a negotiating contest. After being in business since 1919, we realize that iMVP is the best approach to pricing pre-owned vehicles for our customers. It is our way of making EVERY customer benefit from the power of the internet and feel like an MVP! View our Pre-Owned inventory to take advantage of iMVP savings!